For the past 30 years, Geneva Marketing Associates has specialized in providing competitive group and individual health insurance. At Geneva Marketing, we pride ourselves in offering the best "A" and "A+" rated carriers, companies that have distinguished themselves with long track records of rate stability and outstanding claims handling ability. We have the ability to quote over 25 of the highest quality insurance carriers available in Wisconsin including, IAC - Standard , Blue Cross-Blue Shield, United Health Care, Humana, John Alden, and Principal. We can offer fully insured plans, as well as, HSA, HRA, and Self-insured programs. Our company can help you set up a section 125 plans to add addition saving to any group plan. We market exclusively in Southern Wisconsin so we’re aware of the best plans for this area. Geneva Marketing is unique in its ability to offer the best coverage, fair costs and top quality service. Owner, Michael Koch, started his career with Metropolitan Life Insurance in 1972 after graduating from University of Wisconsin Whitewater with a major in Marketing. He was promoted to manager in 1975 and later became the regional group insurance specialist. In September of 1977, Mr. Koch received the Charter Life Underwriter, CLU designation. 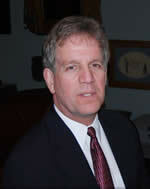 Time Insurance Company hired Mr. Koch in 1977 as Wisconsin Regional Manager. He earned numerous awards for service a production with Time and later in 1985 joined Cigna Insurance as their Wisconsin manager. After a year with Cigna, he was promoted to Senior Manager. In 1988, Mr. Koch along with two partners formed Midwest Marketing Concepts, a regional Life and Health brokerage operation. Two years later Mr. Koch started Geneva Marketing.